In Luke 15:1,2, the Pharisees and scribes grumbled against Jesus saying, "This man receives sinners and eats with them." Jesus responded with a parable of a lost sheep. He asked how many of the men wouldn't leave the ninety-nine safe sheep and go search for one that was lost? When he found it, he would rejoice and ask his neighbors to rejoice with him. We often use this parable to talk about fallen Christians. However, Jesus is responding to a complaint against His evangelism. With that in mind, we see some interesting points about bringing in lost sheep. First, we can't find the lost sheep if all we hang out with are the saved sheep. 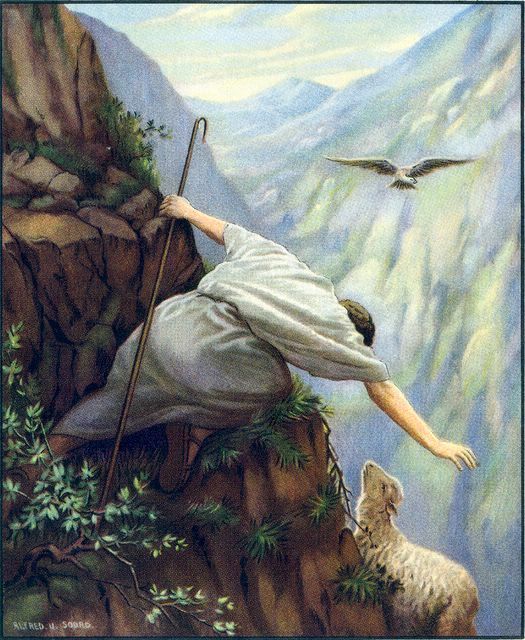 Jesus was receiving sinners because that was where He could find lost sheep. If we want to bring in the lost, we have to go out to them. Second, when the lost sheep is brought back to the fold, it won't look like the rest. Because the lost sheep was not in the fold, it has gone without food. It will be emaciated. Its wool was likely caught in brambles and thickets. It may have even been attacked by predators. When we bring the lost in, they won't look like us. Their hair may be different. Their clothes may be different. They may have tattoos and body piercings. Sadly, many sheepfolds want all the sheep to look just like us before they can come in. We need to be ready to accept the sheep as they are. Some differences don't matter at all; the others will change as the lost person becomes a Christian and more Christ like. Third, sometimes we go out into the wilderness and we see all kinds of creatures, but only find one lost sheep. Jesus told this parable in response to His being around a whole bunch of sinners. He was looking for one lost sheep. Too often we get caught up in analysis paralysis trying to convert the world. Instead, just look for one more lost sheep. Once you find one, go back out and look for one more. Fourth, rejoice when the lost sheep comes into the fold. No matter what he or she looks like at first. No matter if they came from a false religion, no religion or one of our own families, we should rejoice with all our brethren. Welcome the new sheep into the fold, enfolding them in our love and fellowship. Finally, the fact that Jesus had to tell this parable at all demonstrates that we have to be prepared for some seeming sheep to look down on us. We have to be ready to do all of this in the face of opposition. Regrettably, some sheep don't want to bring in the lost. They just want to hang out together while the fold dwindles and dies. We will have to do this work in spite of them because we care about the lost sheep. Let's get out into the open country and find some lost sheep.